Pregnancy, Birth and Baby is a free Australian Government service providing you with direct access to maternal child health nurses on your journey from pregnancy to preschool. 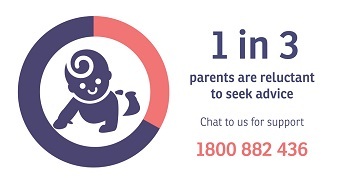 Expecting parents can speak to a maternal child health nurse about the baby’s growth and development or for support if there are any concerns or issues during pregnancy. Our maternal child health nurses can also offer parents practical tips to overcome challenges such as settling and sleeping, tantrums, and feeding. Being a parent can be challenging or overwhelming at times, but it’s reassuring to know there is expert help and support available from the comfort of your own home, 7 days a week.